Since 1985, many prominent cities all over Europe have carried the title of a European Capital of Culture (ECoC). Every year at least two cities in Europe are designated with the ECoC title by the choice of an international jury (panel). The aim of an ECoC process is to encourage urban regeneration in order to change the city's image and foster culture driven development. The focus is on culture in a broad sense. To become an ECoC, a bidding city has to compile a comprehensive document that is called a bid book. This 100 page long (60 pages in the pre-selection phase) document must set out the objectives and offer a concrete plan how to implement an original concept through a comprehensive artistic programme. In addition, the marketing, communication and delivery plans of the ECoC process have to be offered. An ECoC is a journey that will last for several years: designated city will start to put the concept and the artistic programme into practice immediately after the designation. The title year is the peak of a combined programme consisting of cultural, artistic, educational and entrepreneurial activities that have been planned for at least 4 years. 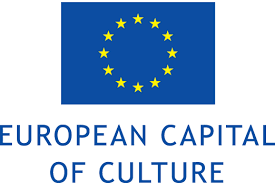 HOW IS THE EUROPEAN CAPITAL OF CULTURE CHOSEN? The selection of the capital of culture takes place in two stages: the pre-selection and the final selection. The pre-selection was made among the Estonian cities that applied to be the Capital of Culture in the autumn of 2018, on 24 October. The final selection will be made by August 28 2019. The selection will be made by an independent international expert panel, which will include up to two representatives from Estonia. Based on the report of the expert panel, the respective state shall approve the list of cities that have been included in the final round and, if the expert panel so wishes, they may also visit those cities. Read more on the rules and timeline of the Estonian competition from the Ministry of Culture's homepage.